I think that the most common question that I get from small business owners is “how do I get my site higher up in search rankings?” A very good question and the answer will depend on each business and each industry. 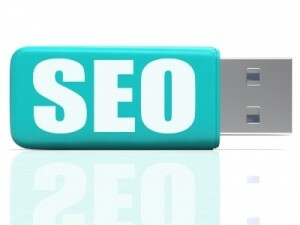 However, there is a basic search marketing foundation that I recommend needs to be laid for any business. With this in place, it’s then time to start looking at different search tactics. So what is this foundation? First and foremost, you need to have website tracking in place. The free Google Analytics and Google Webmaster tools are invaluable resources. This is important for SEO work, as there are plenty of insights that will help to inform your search marketing strategy. You can get an understanding of your current credibility by looking at what keywords are driving traffic for you now, for example. When it comes to SEO, it’s not enough to just focus on keywords that you think are important. Research uncovers what terms are the most popular – giving you specific data around what query strings people are using when it comes to your business’ topic. Some of the specific wording you may not think of on your own. You can get ideas for blog topics answering common questions. This keyword data will now become a constant reference as you move forward with your website content and optimization efforts. Armed with your keyword research, it’s now time to start optimizing your website. Having proper meta tags and high quality, corresponding on page content is the first important step in laying the foundation for your site’s SEO. Well-written tags can help to improve click through rates from search results – optimally written, enticing tags get more attention than those done poorly or simply automatically generated. As you continue to work on and expand on your site’s content (something that is crucial for SEO success), reference your keyword data to guide your decisions on which keywords to focus on and how to put together your content. While it’s true that not every business needs a blog to compete in search rankings, it’s really becoming a must-have basic tool relevant to any kind of biz. Refreshing content is on the radar for search engines and the more quality content the better when it comes to building up your site’s credibility. With this basic search marketing foundation laid, it’s now time to look at other opportunities and other tactics to keep your site moving up and getting more attention from searchers and from search engines. You will see all kinds of cheap SEO service options and other consultants talking to you first about doing other types of strategies. But remember, first you need to have the above covered. You don’t build a house without a foundation. Neither do you build your search strategy without one.